What made the experience of listening to World of Warcraft: Wolfheart the most enjoyable? King Varian Wrynn by far steals the show in the book. Nearly every scene he's involved in is my favorite. The battle at the end is great! As I mentioned earlier, I truly enjoyed Scott's performance as King Genn Greymane. The added snarls when Greymane was in worgen form were such a good touch to an already great performance. It was thrilling. His masterful performance as the outspoken King Varian was perfect. Another favorite.Scott also did excellent performing as the orcs, in particularly Garrosh Hellscream and the One-eyed Briln. The scene where all the Alliance members were gathered and were considering the addition of the worgen into the Alliance. King Varian Wrynn totally steals the scenes here. The political drama that explosively unfolded was jaw-dropping. One of the best parts of the whole story. Wolfheart is a great story, but not without its flaws. It's a war story, a tragedy, a murder mystery, and political drama. Overall, a great story to enjoy. However, the whole Maiev Shadowsong murder mystery story line rides nearly parallel to the rest of the story. While it's a worthwhile story to be told for sure, it aggravates how it doesn't quite cross lines with the overall arc of the story. I also wasn't too pleased that the one focus on this book I really wanted to delve into - King Varian Wrynn, the man whose eyes are on the cover of this book - the Wolfheart himself - doesn't make an appearance until like Chapter 11. Arg! However, when he does show up...WHOA! The wait is nearly worth it. 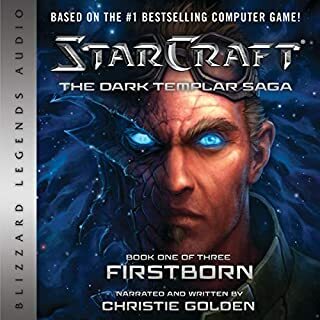 This is not my first audible book, but it is the first I've actually completed from start to finish as fast as I could within a couple of days. Wolfheart's great, but not what you think. 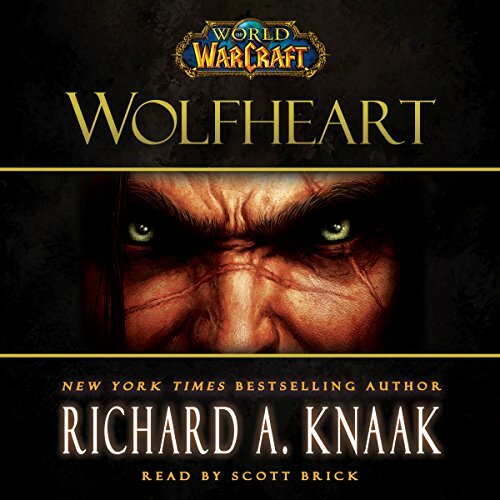 Where does World of Warcraft: Wolfheart rank among all the audiobooks you’ve listened to so far? When you see the title Wolfheart, coupled with piercing human eyes, you think "My name is Varian Wrynn, but I am also Lo'Gosh." 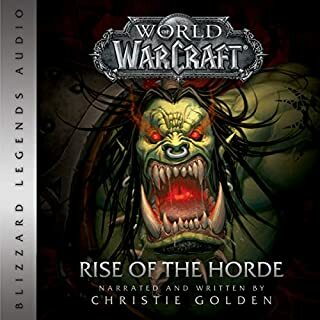 And you would be right, except Varian's story is not the plot of this book. The plot is the Horde's encroachment into the Night Elves' Ashenvale led by Garrosh Hellscream. Varian is a major player and even the key to saving Ashenvale, but he is in the book much less than one would think. Varian's story is more focused on his interactions with the worgen and his quest to fully embody the spirit of Lo'Gosh.Wolfheart is action-packed. Lots of death and destruction. A large subplot revolves around Maiev and Jarod Shadowsong. It seems Maiev has sunken further into madness than anyone new and is at the heart of a major deception concerning the Highborne. She is a bizarre character and very enjoyable to read.Other Warcraft characters of note are: High Priestess Tyrande Whisperwind and Archdruid Malfurion Stormrage of Darnassus, and Genn Greymane of GilneasI gave it max stars because it kept me engaged and it was so action-packed I didn't have time to be annoyed by whiny characters or Knaack's writing style. What was one of the most memorable moments of World of Warcraft: Wolfheart? There is a mighty battle between Varian with his sword Shalla'tor the Shadow Render and Garrosh with his father's ax Gorehowl. (However, in my opinion, the fight between Jaina and Thrall in Tides of War was far more exciting and poignant.) There is a lot going on in that battle scene and I have to give Knaack's props for keeping it all together. I super enjoyed Scott Brick. He has a magical way about him. A few of his female voices made me smile. What disappointed you about World of Warcraft: Wolfheart? This book was sold as a story about Varian's relationship with Genn and the worgen race. That is not what this book is. 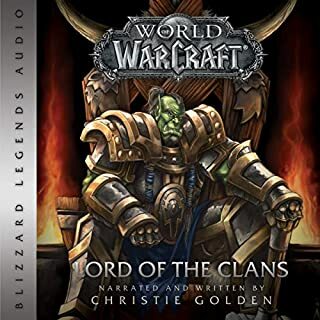 It is instead a lot of not particularly interesting or surprising Night Elf lore and some minor Alliance politics during the months immediately following the Cataclysm. If you really like Night Elves and the Alliance leaders in general, you will probably like this. But Wolfheart is not a story about Varian, Genn, or the worgen race. This guy is amazing. He's award-winning for a reason. Scott Brick's reading was far and away the best part and the only thing that kept me holding out for what was promised for over five and a half hours. it manages to tell the story independent from the game, yet a main part of it. it can be a stand alone quest with plot twists and rich characters, but also complements the game releases a while ago. The story here was very well put together, however tilted to the alliance it was. 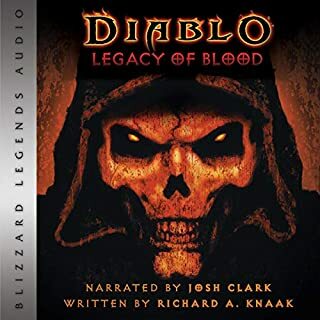 The only real problem I had with this audiobook was the way the narrator snorted in my ear when he was voicing transformed worgens. If he had just taken on a more gruff sounding voice it would have been much better. 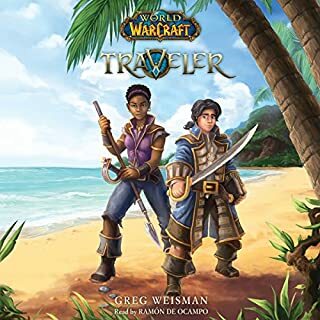 good warcraft tale for newcomers and lore masters. good delivery, narrator voices the different races very well. story's good mix of action and drama. Loved it. Awesome reader! 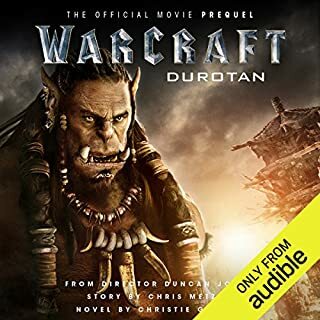 Please do more Warcraft Novels! Scott Brick has my vote to complete the whole series. great book. love Warcraft and this kept me more than entertained while I drove across Canada.